Why is data governance important to your business? This might seem like it would be a rhetorical question. The power of data in driving businesses today is well-recognized. Data is power and your insights better be data-driven. So, it follows that data governance is important as well - right? But why is this exactly - what does data governance do for the bottom line? 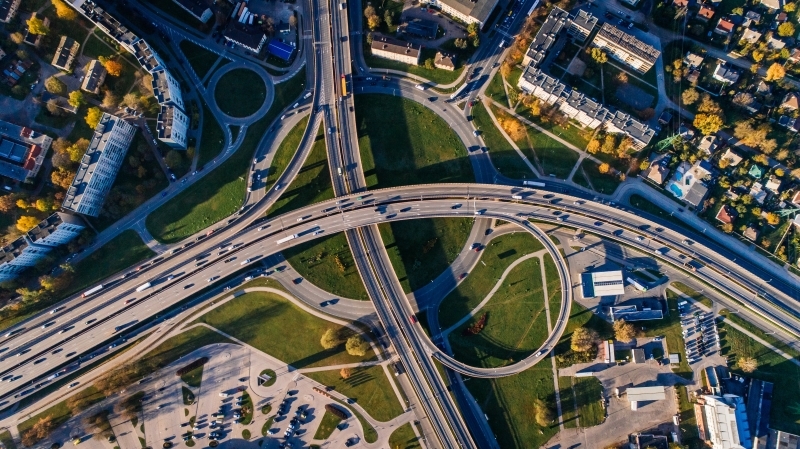 In this blog post, I will go over 3 reasons why data governance is key to your business, and why it will only become more necessary in the future. For clarity’s sake, what is data governance? A company has a lot of data coming in externally and more data being created or updated internally, so that data should probably be ‘governed’ so you have good data. That’s a fair take, and it hits the near the heart of the definition - but it doesn’t go all the way. Data governance is a set of processes that ensures that important data assets are formally managed throughout the enterprise. It ensures that trusted information is used for critical business processes, decision making and accounting. Now we’re getting there - let’s unpack this further. Within this definition we have 3 main pieces of the overall data governance puzzle. Management of the data - data stewards and users within the company working on the data in accordance with those laws. When those three factors are present and functioning together within a company, you have good data governance. It is important to note that this definition presents 2 main requirements for data governance: the tools to allow this governance to happen, and the efforts (by people, mind you) that carry this out. So, why is data governance important? The lack of effective data governance within a company guarantees one thing: the existence of poor data. This poor data manifests itself in inconsistent definitions, duplicates, missing fields, and other classic data faux pas. These are clear issues that should be solved - but what will specifically drive ROI for company that solves them? 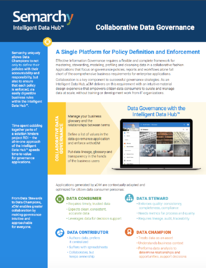 Simply, data governance increases efficiency. Duplicate accounts lead to duplicate efforts, or at the very least it leads to time wasted tracking down duplicate accounts in your marketing, sales, finance, or analytical efforts. Data governance reduces errors in your database, giving your business a solid database to work from and saves precious time that would otherwise be used correcting your existing data. Time saved is money saved. Additionally, data governance forces a business to clearly define their core data, and the rules governing that core data. The inception of a data governance project is a golden opportunity to get everyone on the same page about core data definitions. The enforcement of this ensures greater operational efficiency over time. Lack of effective data governance is a security concern for 2 reasons: outside security risks associated with dirty, unstructured data, and regulatory compliance issues. Bad data, and badly structured data poses a security risk for the simple reason that if you have dirty, unstructured data clogging your database, how can you quickly tell when something goes wrong and how can you efficiently monitor what data is at risk? Good data governance tools and practices make it easier to monitor what is happening across your database, and will make it easier to see what areas may be at risk. Regulatory compliance and data governance is becoming a hotter topic with each passing day. As people continue to understand the importance of their personal data, governments are beginning to take the ways in which companies store, protect, and use their customer’s data extremely seriously. Take GDPR for instance. This regulation, set to come into effect in early 2018, gives EU residents more control over their personal information, including the famous ‘right to be forgotten’ which enables an EU resident to request that all of their data be deleted from a business’ database (note that this applies to any company doing business with EU residents so this regulation can easily cross the pond to the US). With a messy, un-governed data swamp it may prove impossible to guarantee that all data regarding a particular individual is deleted when requested. This opens your company to great risk and potentially draconian fines. Take a second to imagine what the assurance of perfect data would mean to your business. Effective data governance provides the peace of mind that the data is generally clean, standardized, and accurate. The effects of this reverberate throughout a company. Assurance that your metrics are accurate - how are your KPIs? Okay, Data Governance is important now - how about in the future? Data governance is key for data-driven companies today, and really what company today is not trying to be data-driven? We now know why data governance is important currently, now consider three major forces that companies are lining-up to benefit from in the near-future: Internet of Things, Artificial Intelligence, and Big Data. All three of these forces bring great promise to many companies through massive troves of data through which insights and intelligence can be gained; however, the influxes of data increases the need for an effective data governance program. If a company doesn’t get ahead of dirty data coming in from IoT, AI, and Big Data, the main result may just be a massive data swamp rather than the increased intelligence and profits that board members were expecting. So, what should my company do? When you are ready to get serious about data governance a few things must be in place: buy-in from multiple teams, and the right tools. One of the most important factors with data governance is alignment with all teams and individuals that will be in charge of collecting, governing, and consuming the data. Ensure that everyone is on board and that there are clear goals, clearly defined processes, and clear permission levels to make everything run smoothly. The key to data governance is effective collaboration. The right data governance tool should go hand-in-hand with these principles. Make sure that whichever tool you are evaluating is easy to use for business and IT-users alike, enables seamless collaboration across teams, and is flexible enough to evolve with your changing business needs. Now that it is clear why data governance is important, check out our Collaborative Data Governance datasheet explaining the Keys of Data Governance, and a glimpse into a truly collaborative Data Governance Tool that can turn data users into data champions.